chop broccoli into florets, set aside. i love the stems of broccoli too, if you haven’t tried eating those, chop them into chunks and include in your measurement. the bottoms of the stems can get tough and inedible, so make sure you’re taking note of the tenderness. mix ginger, tamari, mirin, red pepper flakes and maple syrup. in a large sauté pan, cook broccoli and 2/3 of ginger mixture on high heat. if the broccoli starts to stick, add a little water or more of the ginger sauce. once broccoli has reached your texture preference, remove from heat. 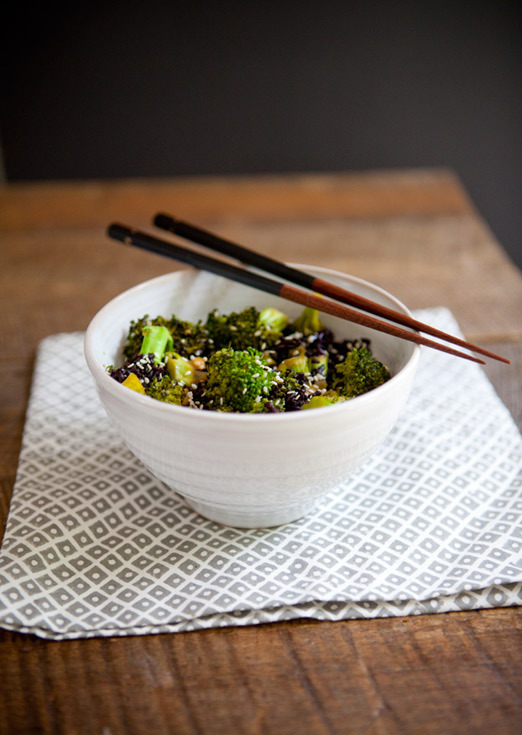 serve in small bowls, with a couple spoonfuls each of rice and broccoli. 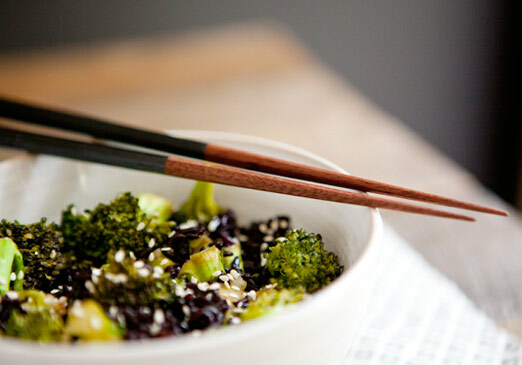 mix the broccoli and rice, add a little extra ginger sauce if you’d like and then sprinkle with sesame seeds and eat up! * i also added a little siracha to mine before eating, love that extra spice! yum maggie! lou hates mushrooms so i never cook with them (which is sad because i love them so much!). going to try it on a night when he's not home sometime soon!